Learn the most often practiced yoga poses to create a strong foundation to start practicing yoga. The books will be based on self-care, personal growth, and Yoga beyond the mat. Come stretch, relax and learn more about who you are, or want to be on and off the mat. Book Club will meet the first Sunday of each month at 1PM. Connect with Your Body. Move for Your Body. Breathe for Your Body. Be In Your Body. A combination of hands-on therapeutic massage, assisted stretching, and supported poses: BodyBliss is an experience your body needs and you will love. What's better than a Sunday brunch? Brunch followed by Yoga! Join Sarah for a fun-filled family yoga class! We will play yoga games, follow along to great yoga songs, and do partner/family poses creating an even deeper bond between you and your little loves! 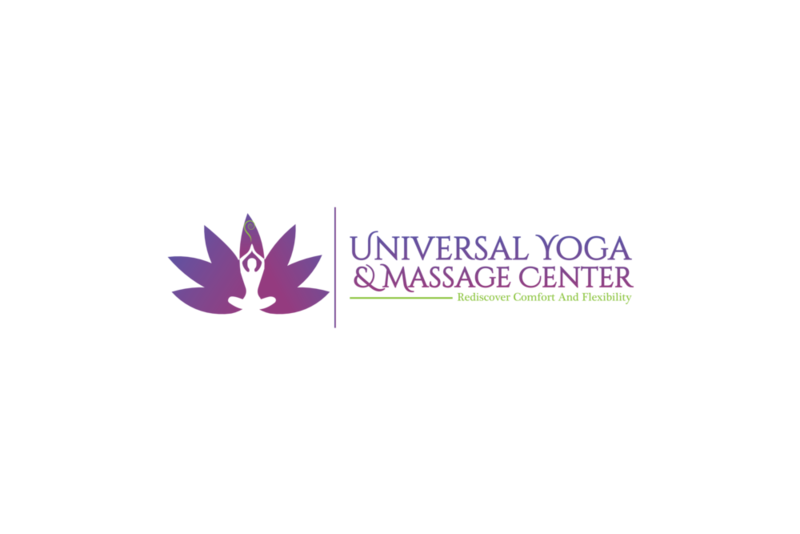 Join Universal Yoga and Massage Center for their annual Open House on Saturday, March 23rd from 10:00AM until 4:00PM. This workshop is FREE and will be an introduction to our newest class, Yoga Ablaze. Yoga Ablaze is a combination of Yoga Asana (poses), Alignment, and High-Intensity Interval Training. Join Sarah to take your mind, body, and breath connection to a different level. In this workshop, we will spend time working on the following poses: headstand (tripod and forearm), crow pose (with potential variations), and standing balance transitions. Join Sarah and her partner Justin on a journey to connect with your loved one through Yoga this Valentine's Day! This class will incorporate partner yoga poses and a short guided meditation. New to yoga or not this workshop series is for you! Every BODY is different and what works for one may not work for another. We will spend a portion of our time breaking down the more common poses that you will find in yoga classes and finding how each pose works best for your body. There are roughly 32 poses in the Yin Yoga practice! Over the course of 3 weeks we will take time exploring each of the poses found in a Yin Yoga practice along with their variations. This program is intended for people who suffer from chronic neck, shoulders and back pain rather than acute pain or injuries. You will be taught numerous flows of movements to strengthen and "unwynd" your spine depending on your specific needs. We will help you discover your heart's true desire for the upcoming year and create a plan to put into action. Reduce holiday stress and restore your energy levels right before Christmas with this 2 hour Yoga Sleep/Meditation Experience. Yoga NIdra is a practce of relaxation that is so deep, it is said that 1 hour of Yoga Nidra is worth 3-4 hours of deep sleep. Recent research shows Yoga Nidra can help significantly reduce seriously high anxiety levels, on top of the regular benefits of Meditation. Bring your mat, a pillow and a blanket, because you are going to lay back and relax, DEEPLY. Give back with us on Thanksgiving morning with our Donation class for Ella Ryan. Ella was diagnosed with A.L.L. (Acute Lymphoblastic Leukemia) in March of 2018. Join us for a donation class to honor the Veterans Yoga Project and express gratitude for our freedom and honor those who served in the United States Armed Forces! Join us for Halloween fun for the whole family! An amazing afternoon of creativity, rhythm, dance, and drumming. Just $8 will get you a 60-minute Chair Yoga class and after class, you can purchase a wine tasting or a glass of wine. Just $10 will get you a 60-minute Yoga class and after class you can purchase a wine tasting or a glass of wine. This workshop will teach you how to effectively make the transition between poses so your are comfortable and safe. Find your inner rhythm and feel your body and mind connect through the poses as you energize your soul. Join Kim Bonvicino in a gentle, beginner Yoga class to help raise money and awareness for the American Foundation of Suicide Prevention's Out of the Darkness Walk. This workshop consists of a one-hour Yoga class that focuses on bringing peace to the mind and body. After class, there will be an essential oil demonstration using St. Larry's Essential Oils from Clayton, NY. In this 90-minute workshop we will explore Restorative Yoga poses using props to support the body in postures of comfort to facilitate relaxation and health. We will learn how to create space and length in the body through stillness and relaxation of our muscles while keeping our mind focused on our breath and the releasing of the body. This event is part of our reoccurring Kundalini Art and Yoga Workshop that happens on the last Saturday of each month. No experience necessary. Materials are provided. What is a mantra? A mantra is a syllable, word or phrase in one of the sacred languages (like Sanskrit & Ghurmeki) and sometimes in English, which elevates or modifies consciousness through its meaning, the sound itself, rhythm, tone, and even the reflexology of the tongue on the palate. In this workshop we will explore mantra through chanting, moving and drawing.